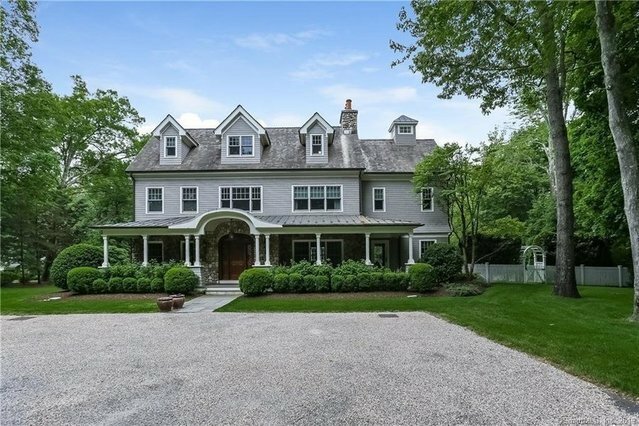 Premier builder's own exquisitely finished stone and shingle home in convenient location gracefully sited with heated pool, spa, gracious front porch, bluestone patio, ample on site parking and 3 car garage. This elegant home has 6 bedrooms, 4 gas start wood burning fireplaces, gourmet kitchen, finished walk-up attic, media room, exercise room, radiant heat in family room and master bedroom floors. Extensive trim details including, paneling, wainscoting, moldings, and coffered ceilings complete this magnificent home.